Save the date—July 20 & 21, 2018—for the 50th Annual Cadillac Festival of the Arts – Phyllis Olson Art Fair, held in City Park at The Commons, Cadillac, Michigan, adjacent to beautiful Lake Cadillac. The Festival includes more than 100 artists, live music, local food booths, and the “Sherilyn Lindberg Kid’s Art.” This two-day event hosts juried artists who exhibit art of original concept, design and execution. To commemorate the 50th anniversary, join us for pre-Festival festivities on Thursday evening (July 19) while artists set up their booths. The Festival celebrates a combination of the arts including music, visual, and culinary. With its longstanding history, show goers are sure to be impressed this year. Paul Brown, music talent acquisition for the Festival said, “With this year being the 50th celebration, the pavilion will be stage to fabulous entertainment, just as it was last year with ‘The Accidentals.’” Stay tuned for details by checking the Cadillac Festival of the Arts Facebook page or Cadillac Artists’ Association web page.  Anyone interested in participating in the festival as an artist, culinary expert or music talent please feel free to contact info@cadillacartists.org. All artists are welcome to participate in our 2nd annual poster contest with a chance to win prize money. For more information, contact Brinks Art and Frame Shop at info@brinksartandframe.com.